I enjoy very much the constant and positive feedback I get from several of my “Friends”. Some comments are submitted on the Blog itself and other comments come to me as personal emails. You are invited to click on the “Comments” section of the Blog to see if your note has been published or if you just want to see what others are saying. Your comments are very inspirational and I am especially happy to have the comments pertaining to my grandchildren’s academic and athletic progress. I am very proud of them of course and I appreciate the opportunity to share this will all. One of my reasons for sharing my good news is to draw attention to the equally good news at the Learning Center. I want to make the point that children ANYWHERE can do exceptionally well when supportive adults show an interest, provide consistent encouragement to children, and help children set high personal achievement goals. Stated another way, we can be very instrumental in helping each child become the best they can be. As you know, part of my community service time is devoted to the Kiwanis organization. Kiwanis is international and consists of thousands of volunteers and community supporters who help children all over the world. This year is Kiwanis’ 100 year anniversary and we look forward to another century of community service and success. 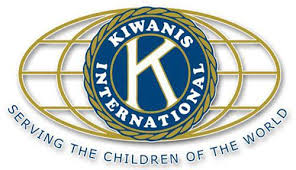 I strongly encourage all adults to consider Kiwanis as an organization to join or to support in your community. Our local club’s membership is growing and recently we added several new local high school graduates (next stop for them is college) to our membership rolls. We have great plans for them since they are tomorrow’s leaders and are already ahead of the game in the social media arena. An area we can use lots of help. “Friends of Copey” is very happy and proud to be a Kiwanis approved project. This approval was granted a few months ago and we look forward to an active and involved working relationship with my Kiwanis friends and associates all over. The Learning Center is taking this week off for their annual mid- year break. The teaching staff was busy last week completing teaching objectives, testing, and conducting student evaluations to prepare student report cards. Parents were invited to the Learning Center to hear student presentations and to bid farewell to those staff members whose volunteer time is now up. Staff believes the school year has been a real success up to this point in the school year. We share that same belief. On our end much has happened so far this year with the success of the Anne G. Broady Scholarship Funds raised. The donors have been informed of their scholarship student. We also conducted the special fund-raising campaign to help raise additional funds for administrative use. I am often reminded when I look at the photos I use for my Posts just how limited the teaching resources are at the Learning Center. For example, notice how the students have to huddle around to look at one lap top being used for information and instruction. The question begs to be asked…Is there anything we can do to help with either another lap top or even I-Pads for the students? Most of us in the USA know and understand how important computers and even I-Pads have become in the classroom instruction process. A couple of years ago our Kiwanis Club assisted a local elementary school in obtaining about 25 I-Pads for one classroom. The students’ use of these I-Pads have been credited for the significant increase in recent improvements in learning and student test scores among those students who used the I-Pads. As they say, one picture is worth a thousand words. I believe these photos help reveal how important we are even though our support is fairly limited. I believe it continues to be important to point out the significant hardship families face living in a remote location in a country such as Costa Rica. The local economy is very limited. Outside availability of needed resources are also mostly unavailable to support a viable and sustainable educational program. Let’s keep open our thoughts about this situation involving these lack of resources. Let’s share any thoughts, views, or ideas you may have. Perhaps even the Kiwanis family worldwide could take notice and support such a worthy opportunity to serve some really great children of the world. 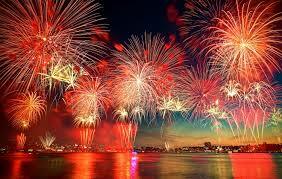 The next Post will be one of celebration. Not only will we celebrate the 4th of July here in the USA…it will also represent yet another major milestone for “Friends”. Stay tuned and thanks for your support. Ms. Betty Jean (Hayes) Ganaway recently passed away. She resided in Virginia and has been a friend of mine even as far back as elementary school. She was much older than me. Being her brother’s (Carlos) very close friend and classmate since elementary school, she always took an interest in me just like a brother. All through the years we stayed connected and during my travels back to Virginia last summer, she and I had an enjoyable visit. Visit my July 16th, 2014 Post title “Farewell Tours”. I referenced my visits with family and friends (including Betty Jean). I wrote then that we do not know what tomorrow will bring…it is not promised. I am so glad she and I had some time to visit and to part as long time friends. Her funeral was held yesterday and reports are the number in attendance was very large. She will be missed by many. A Bowl of Soup and a Quarter…! Happy Father’s Day to all the “Fathers”…! Now, in June of 2014, I wrote a Post about making deposits into the memory banks of our young. As parents, grandparents, aunts and uncles we realize our interactions with young people become powerful memories for them as they grow older…both good and bad memories. My memory bank is full of deposits. My grandfathers, my Dad, uncles and aunts, coaches, and many others made many deposits. I grew up to admire them all. For example, one of my grandfathers owned and operated a barber shop. His time with me was very limited but it was quality time. He passed away when I was 8. He took something fairly simple to teach me a life lesson. He is one reason we honor others on “Father’s Day”. At this young age, my job was to deliver to my grandfather each Saturday a brown bag containing a very hot bowl of soup without causing any spills or soup stains on the bag. The stains were very easily seen. This fifteen minute walk across town was very challenging for a young person who had to pay attention at all times. The delivery had to be done with perfection to earn the wages of a quarter he paid if I arrived and the brown bag was spotless…meaning no soup was spilled during delivery. My grandfather would not pay me if some small amount of soup had appeared on the brown bag. However, he was teaching me a valuable lesson. Some deliveries ended with disappointment but most of the time he paid me the quarter because the job was done by his standards. I made a lot of quarters but my grandfather deposited much more than that into my memory bank. He was teaching me about the relationship between job performance and wages at a very early age. Many of us recognize our “Fathers” or father like figures because of the memory bank deposits they made. Young people also make deposits. 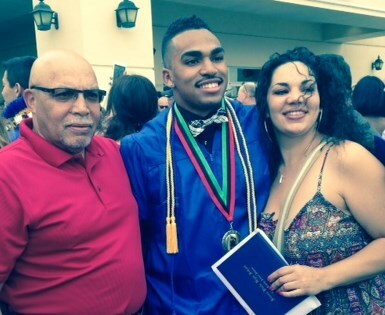 I mentioned last week that my oldest grandson graduated from high school with honors. 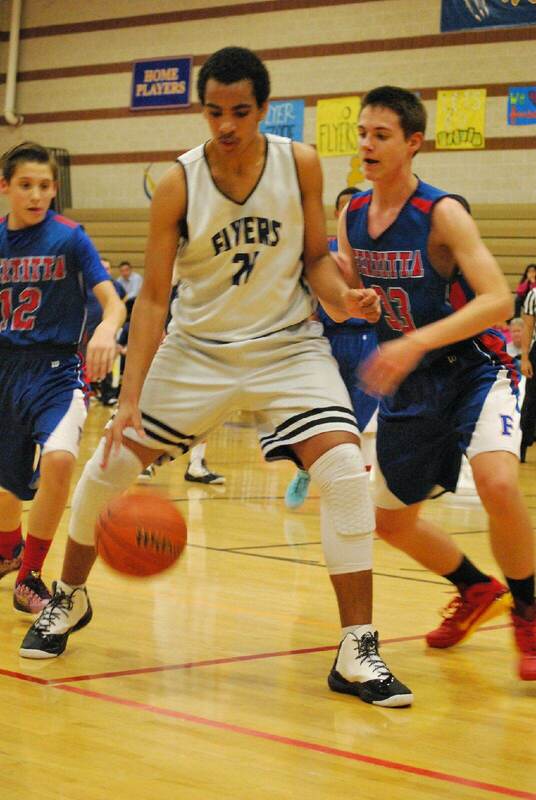 He ended his high school sports career among the top athletes in Nevada. He had made a lot of deposits into the memory banks of family and friends. See, we adults are not the only ones making deposits into memory banks. Young folks make some great deposits also. In this day and time it is nearly a miracle that a young boy can grow up in a single parent home and manage to avoid the many pitfalls waiting him along life’s pathway. For many reasons he could have been the most “unlikely” to succeed. However, he has a room full of awards, trophies, and other evidence that he has achieved much with the love and support of family and friends. Touchdown! Now headed to Univ. of Nevada at Reno. Watching him grow, mature, and develop into a very thoughtful, kind, and respectful young man has reinforced my belief in the power of a loving family, setting good expectations, and faith that God is ultimately in charge. The next oldest grandson Mykel is 14 years old (6’2″) and is following along in his brother’s footsteps. He has a similar life story of course, but he also is growing up to be a very decent young man. He led his school’s basketball team to a 25 and 1 season and a District Championship. He finished his school year with academic honors and a 4.0 GPA. 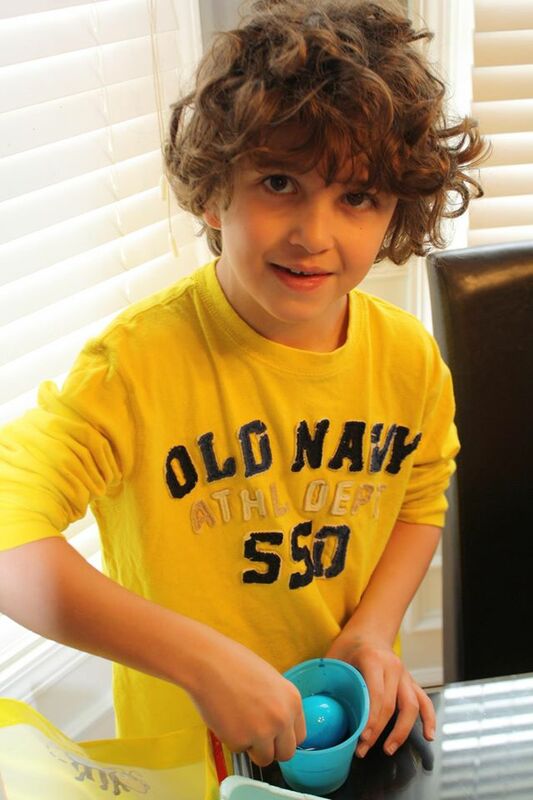 Finally, my third oldest grandson Owen at 10 years old is an excellent student and athlete. He made his mark this school year by leading his team of classmates to a national Science Fair featuring an Innovation Destination project. He plays basketball very well even though his life was in real danger a couple of years ago. He required a serious operation two years ago to correct a major medical problem. All three of these young boys have had their share of life’s challenges and fortunately they have learned to focus on what is good about life and not all the negative things they could dwell on. They believe in themselves and they have family and many caring friends who support them. I have two more young grandchildren who have excellent role models to follow as they get older. I will get them into my Blog in the future. These are the joys of “Fatherhood” or even “Grandfatherhood”. I see personally young people achieve in the face of adversity and believe with our efforts we can all be difference makers. 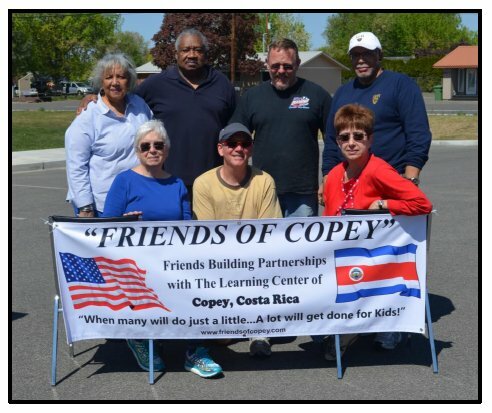 The role of the “Friends of Copey” is very similar to the role of family and friends. The students attending the Learning Center are young people who could use just a little help now and then and that help can make the all important difference. I am convinced all of these students are future scholars and even athletes in the making. We are making deposits into their memory banks each day and trust me…these deposits go both ways. Those who give…also receive! As a Grandpa, I know now my grandfather wanted to help me learn something about life and he deposited into my memory bank a hot bowl of soup and a quarter to teach me something of true value. As “Friends” we can help a community to learn something about life much the same way. “When many of us do a little…much can be done”! I wish to take a moment to observe the passing of the nine who died this week in South Carolina. Also, the family in Montana; Arie (37), Gus (6), Woodrow (4), and Little Arie (1) all four killed at the hands of Arie’s husband who also was the father of the children. He committed suicide. Evil is among us and on behalf of the “Friends of Copey” everywhere, I pray for peace and comfort for all those in mourning these senseless losses. 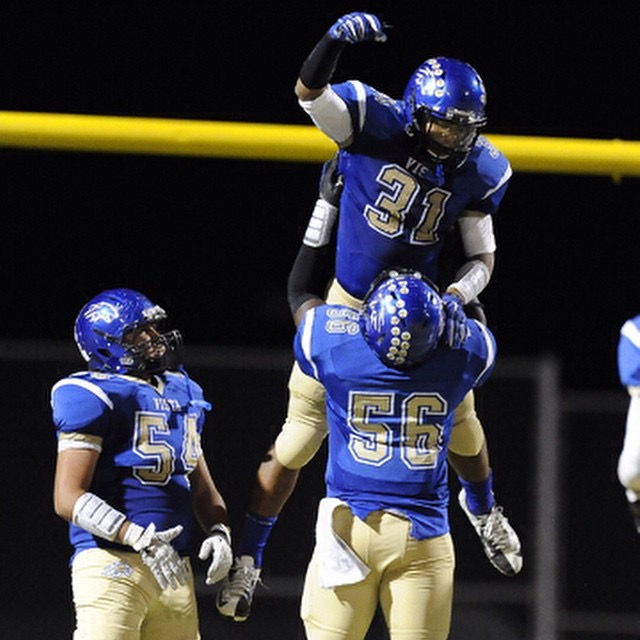 The Saints Are Marching On…! This has been a really great week. I had the pleasure of attending my oldest grandson’s graduation in Las Vegas. I am very proud of Maliek and next week’s Post will include more about him, two of my other grandsons, and a little lesson taught to me by one of my grandfathers. This will be a Special Father’s Day message to all the “Friends”. I am looking forward to sharing this message with you. Watching hundreds of young men and women at the graduation march across the stage to receive their high school diploma was very inspiring. All these young people are heading out into the world together with a variety of dreams and aspirations. Sure, some may not have specific plans for college or further training for employment but hopefully in a short time they will see a clearer path to follow as they move into adulthood. Many others have put in motion the next steps in their lives. They know where they are headed. I sat thinking about the unlimited opportunities students have in this country. You can start very early in life thinking about your future, work and prepare for what happens after high school, and then go forth and do it. As high school students, there are not many limits if any, on what you can dream to do or want. In most cases it is determination and hard work that matters the most in accomplishing your dreams. I speculate that most of the graduating students I saw had some plans in place to get to their next step in life. This is not the case in many countries because of a variety of reasons and many reasons have little to do with the students or their lack of determination. It is the lack of opportunities and choices. 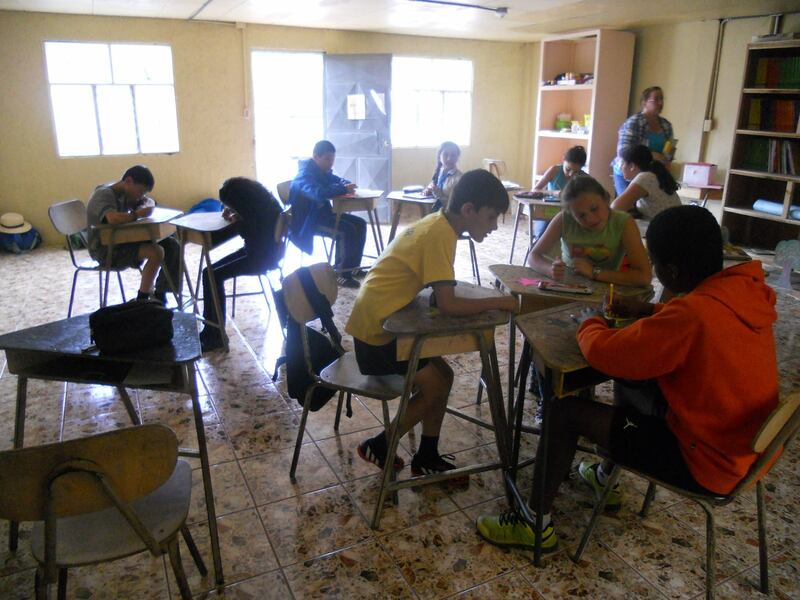 One of the cornerstone’s of “Friends” involvement with the Learning Center is to help improve the options for future school or work for rural students going through the educational process in Costa Rica. 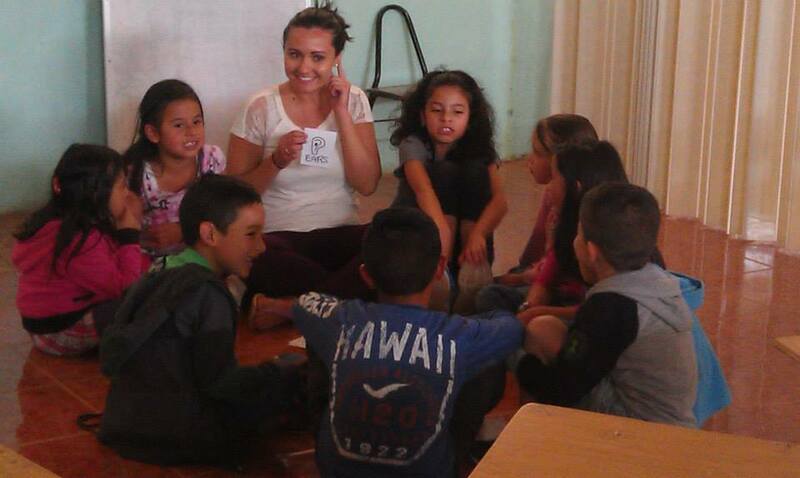 Learning to speak, read, and write in English is critical to the improvement of these options. It would be ideal if the senior students in Copey could graduate at the end of the school year with a multitude of viable choices to continue towards achieving their full potential…academically and even athletically. We believe it is a worthy goal for the community of Copey and for “Friends of Copey” to work together to inspire a higher level of interest among students for college or more viable employment choices and the key is learning English. The Learning Center has a Department of Languages established. Currently 9 levels of English as a Foreign Language designed for students ranging from Kindergarten age through Adults, as well as a Beginning French class for students in primary and secondary school. There is a Department of Tourism with the mission to promote sustainable rural development through education. While Copey is located in the rural central highlands, the area has seen a growth in tourism particularly because of local coffee production, bird watching, trout fishing, and “voluntourism” with a few international organizations. 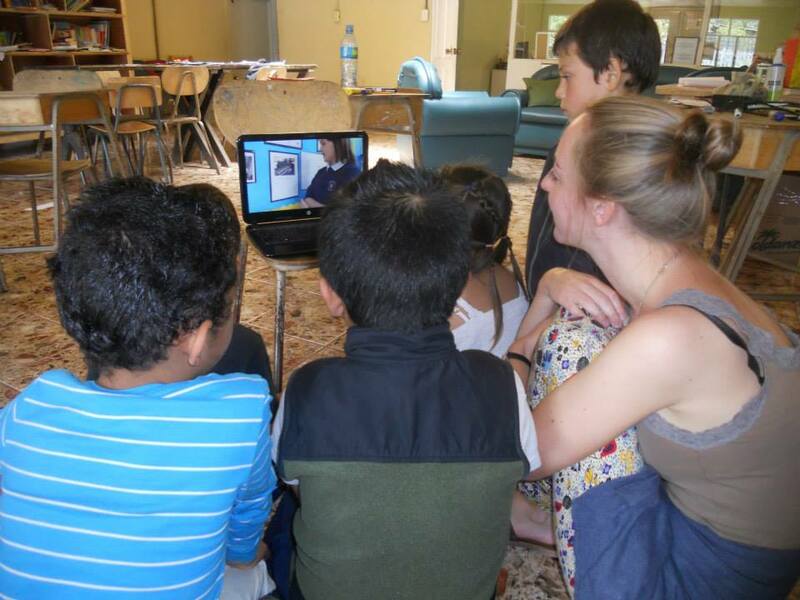 The Department of Art & Culture provides a natural cultural exchange between Learning Center students and the Learning Center’s Volunteer Teachers (this semester from the USA and Scotland). And finally the Department of Environment provides the Learning Center students the opportunity to learn about their environment and recycling. 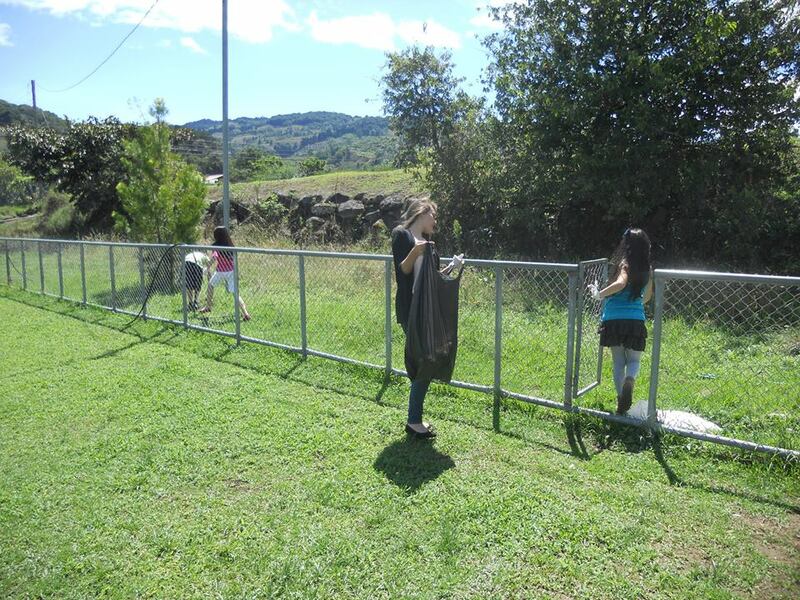 At the beginning of the year, the soccer field and surrounding areas in the center of Copey were adopted by the students and each class has taken a turn picking up litter, recycling discarded bottles, and making signs in English and Spanish to encourage locals to use proper trash receptacles. Yes, this is what “Friends” do. We support the Learning Center and the opportunities and options are plenty. The Learning Center has a call out for volunteer teachers for example. I know there are many teachers including “retired” teachers who could spend a few months in Copey. Our previous volunteer Hailey will certainly attest to the challenge and the personal satisfaction volunteers experience at the Learning Center. There are opportunities for additional “Pen Pals” to get involved. The list is long to consider how you can personally and directly make a significant difference in the life and the future of a student in need. Race has been ended due to several rain delays. Jeff Gordon finished on the rain shortened race in 21st place. My expectations for Gordon on this particular track were very high since he won this race last year and three or four times more in the past. Although it hurts to see the lack of wins, color scheme madness with old #24, and a less than memorable final year of racing, I am still a loyal fan. God…I still need strength! We Spell Success With a “You”…..! Ok…I am really really pumped up now! The Anne G. Broady Scholarship Fund (AGB) donors just received their official notification from Angela (executive director of the Learning Center) informing the donors of their student scholarship recipient. So I am celebrating! These notifications provide each AGB donor the name and a special photo of their assigned student with both personal and educational information. I have seen all of the student photos and have read the individual and personal information on each…and it is very heartwarming and gratifying. You donors know what I am talking about as you have hopefully viewed and read the information Angela has sent you. Reading these individualized reports on each student makes it easy to understand how meaningful our involvement is and how much we contribute to the overall success of the Learning Center. It is not as though we need more evidence or proof that “Friends” play an important role. A number of the 2015 AGB donors are repeat donors from 2014 and have already determined the scholarship fund is making a significant difference. Several 2015 AGB donors have sent personal notes to both Angela and me expressing their appreciation for the job Angela is doing and thanking her for the information. 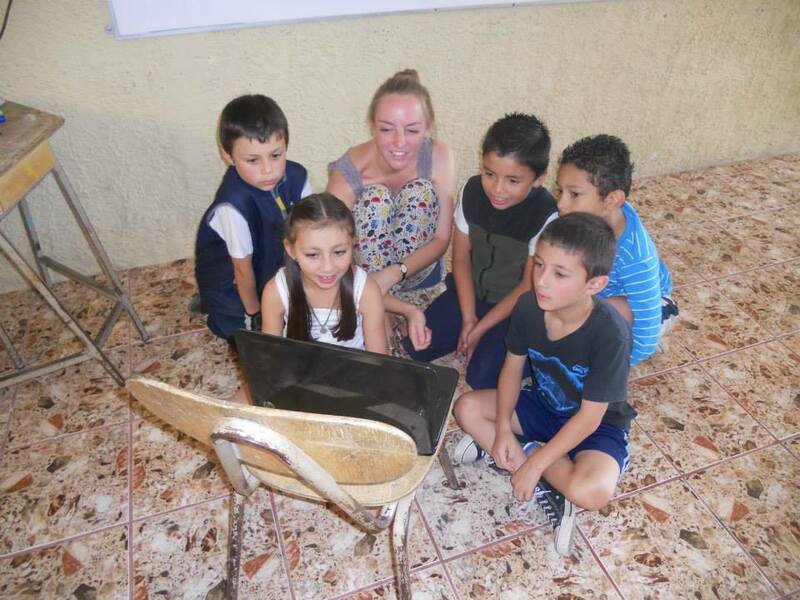 Angela enjoys hearing from you and I encourage each donor to send a short note of thanks to her for taking on the tremendous educational challenge with very limited resources to work with in rural Costa Rica. It means a great deal to her to know that “Friends” stands with her in her efforts to meet these challenges. You can contact her at tribusang@gmail.com. I do not want to leave out the non-donor “Friends”. Your prayers along with your positive thoughts and expectations all help bring about our overall success. For you, I am providing a photo of one AGB student recipient assigned to one of our donors. It is unspeakable joy to see the student, to hear how well she is doing, and to know this group of “Friends” is responsible for this student and about 15 or more other students enrolled at the Learning Center. Because of privacy concerns, the name of this student has been removed…but you get the picture. According to Angela’s report on this student, she is very sweet, quiet, and meticulous in her work. Her handwriting is beautiful and tidy and she does everything with great care. A new process is in place this year that allows a portion of our donations to also be used to provide mini-grants to incentivize and reward students who attend school regularly. 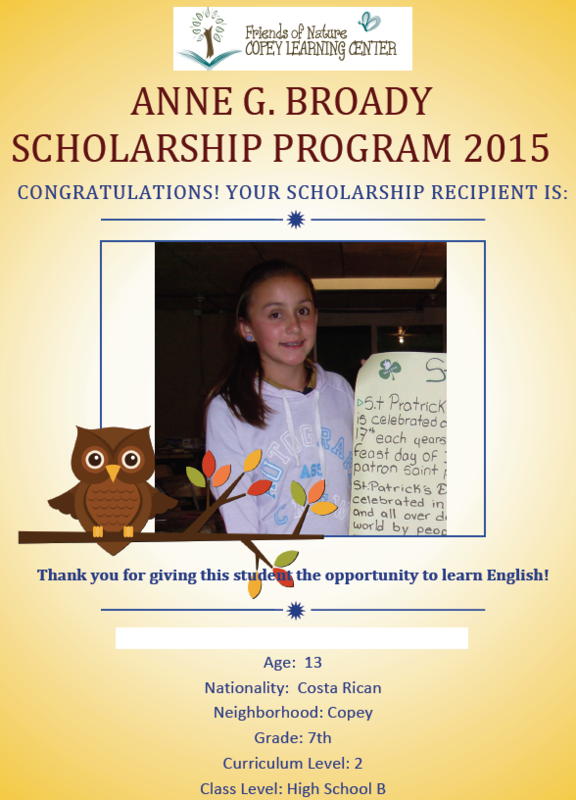 As a result, additional families are benefiting from this added use of part of the scholarship funds we are providing. I close this with a note Angela has placed in each notification to the donors. She states, “Your donations have made all of this possible; without Friends of Copey, the Center simply wouldn’t exist. Thanks to you, Costa Rican students with scarce resources are able to learn English, experience new adventures, prepare for a brighter future, and work together for the good of the whole community. “Friends” please consider this very important point. 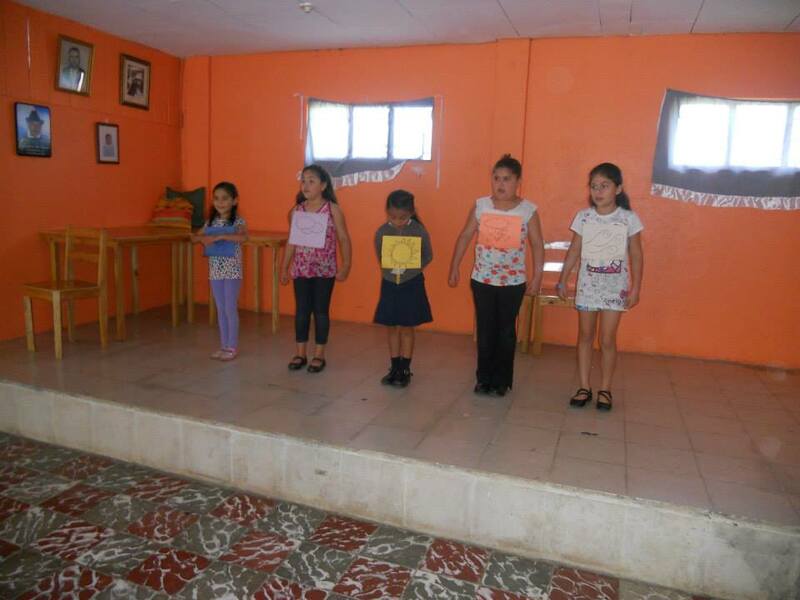 With very little time, effort, and money, we are causing positive changes in young lives in a remote community on the very southeast edge of the North American continent. How astounding is that? If anyone wishes to become an AGB Scholarship Fund donor, a variety of options and opportunities are available. Send me a note at atbroady@aol.com to discuss. While on the subject of donations (living the givin back life -see the April 3, 2014 Post), there are others who stepped up to help us achieve success with the “Big Parking Lot Sale” project in April. There were many who donated items to sell and those who did the heavy lifting and moving of items. Others help make things happen by moving a few mountains in our way. We truly live by the code “When many will do just a little…A lot will get done.” You warriors have not been forgotten and you can expect to hear soon from Angela. The results of today’s race ended with Gordon finishing 14th…failing to make it into the top 10 unfortunately. Looking at the overall standings, he slipped from 9th to 10th. I am beginning to wonder if this final year for Gordon is going to be a memorable one. In fact, this week his car was not even recognizable with a very different paint scheme. Not for the #24 on the side of the car, I would not have identified him on the track. What’s up with that? Would you not want to keep your old colors, logos, and the rest as you make your final rounds? As a longtime fan, this is not making much sense to me…but let’s try again next week.